If you want to Learn a Musical Instrument then this Music Information website has been designed to help those people seeking advice on a whole range of issues to do with Learning a Musical Instrument.The site provides information on a wide variety of topics that are asssociated with buying, owning, playing, finding tuition and maintaining a musical instrument. It includes information on the different types of instruments involved in an orchestra, that is the strings, brass, woodwind and percussion instruments. If you are buying an instrument for the first time then there are lots of points to consider which we have covered in the buying an instrument section. Of course once you have bought the instrument, you or your child will need some instruction in how to play that musical instrument and we have some general advice on where to start which is included in this site. Sometimes it is difficult to find music tuition, we have included details of some music teachers and hope to add more in the future. We have added some excellent pages on playing the guitar whether it be an acoustic guitar, bass guitar or an electric guitar in the learning the guitar section. 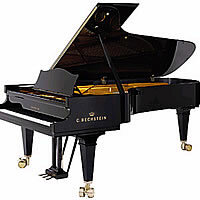 If you are interested in the piano then we have include information about piano playing within the starting to learn section of this site. Maintenance and tuning is also something that needs to be looked at especially if you want to keep your musical instrument in tip top condition. If however you just need to find information about buying Piano sheet music, or violin strings and other accessories then we have some information in our online shops section and learning media page. Finally we have been able to include a range of useful links on our music resources page. To buy your first musical instrument can be a difficult task and could be expensive if you make the wrong decision. Check out the music information in the Buying an Instrument section of the website for information and tips on buying your first one. Useful advice is given on what to look for when buying a piano. 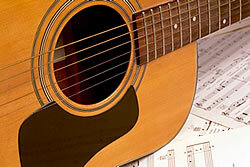 If you are considering a guitar then have a look at our new section on Learning the Guitar. Also have a look through the Instrument Types section which gives brief details of most of the musical instruments in the 4 different sections of an orchestra. 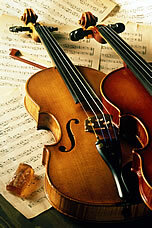 When you or your children want to learn a musical instrument the right choice has to be made as to which one? Visit the Starting to Learn or the Music Tuition sections for some useful advice. There is also some advice on practicing and preparing for the graded exams. After that you may be interested in finding out about some learning resources which can be found on the Learning Media page. we also have some useful links to music shops where you can buy both piano sheet music and guitar sheet music amongst other things. If you are interested in finding out about music tuition , the Music Tuition section of our site has details about a number of tutors who teach piano, guitar, woodwind and brass instruments. There are details about where they teach, their qualifications, and their fees. Whatever you decide on buying, there will be a certain degree of maintenance or tuning that has to take place to keep the instrument in good working order and to maintain its sound quality. Check out the information on the Maintenance and Tuning section for some valuable advice. We have also included details about Namir which is the National Association Of Musical Instrument Repairers and some of their members have been incuded within that section of this site. Why not look at our new section on Learning the Guitar to find out about some useful advice on choosing the right guitar whether it is an acoustic guitar, bass guitar or electric guitar. We have some advice on buying a guitar, playing a guitar and practicing the guitar.